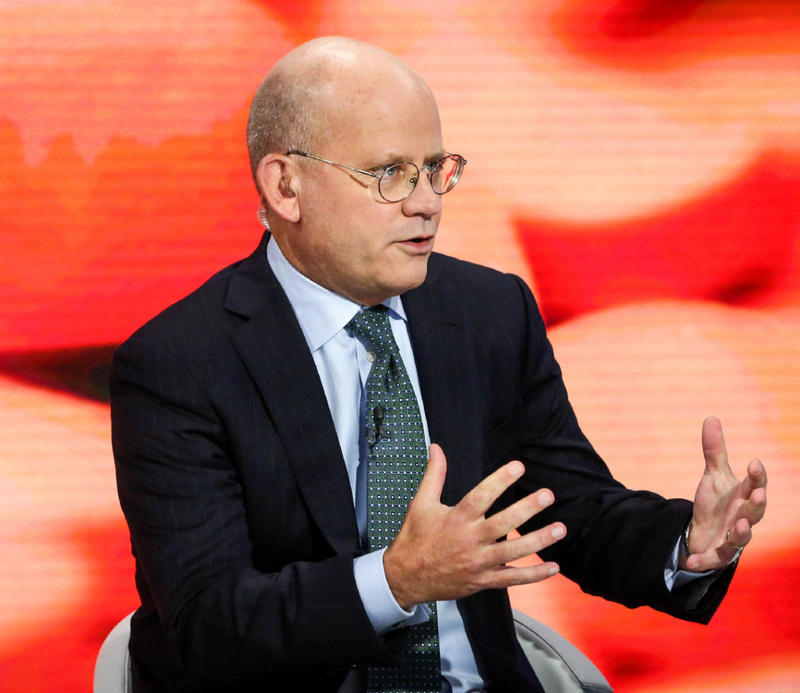 New York—Even before John Flannery began talking, Monday looked like one more bad day for General Electric Co. It began around 6:30 a.m., with news that GE, once one of the most celebrated U.S. companies, was cutting its quarterly stock dividend for only the second time since the Great Depression. Then things got worse. In front of hundreds of investors in midtown Manhattan, the new CEO delivered his long-awaited plan to shrink the beleaguered company back into Wall Street’s heart. GE, he said, would now focus on just three businesses — power, aviation and health-care equipment — and exit others that have defined the quintessential American conglomerate for decades. The reaction in the stock market was swift and brutal. GE’s stock price, already down 35 per cent this year and the worst performer in the Dow industrials, tumbled on Monday by the most in two years. While Flannery’s plans were generally in line with recent speculation, his presentation left some investors wondering whether his revamp would be enough to right the 125-year-old company. GE plunged 6.9 per cent to $19.08 (U.S.) at 12:39 p.m. in New York after sliding as much as 7.1 per cent for the biggest intraday drop since August 2015. “John Flannery’s strategic road map reflects a rigorous portfolio review, but suggests a tough slog ahead,” Gautam Khanna, an analyst at Cowen & Co., said in a note to clients. In a sober presentation on a chilly morning, Flannery said 2018 would be a “reset year.” He cautioned that the power-equipment unit would take a couple of years to rebound. GE will explore options to exit its locomotives unit and its majority stake in Baker Hughes, a provider of oil-field equipment and services. The company is also reviewing options for its lighting operations, a business that traces its origins to the company’s formation by Thomas Edison. Flannery already has made changes to top management, sought deep cost cuts and welcomed a representative of activist investor Trian Fund Management to GE’s board. Flannery, who previously ran GE’s unit manufacturing medical scanners and other health equipment, said last month that the company would divest at least $20 billion of businesses. The moves follow a broad portfolio reshaping in recent years as Immelt sold most of GE’s finance and consumer operations. Still, the latest steps will keep most of the current company intact and stop short of the full-scale breakup some analysts have recently called for. Earnings next year will be $1 to $1.07 a share, GE said. That represents a significant decline from the $2 target that management has been discussing for several years. The new outlook is closer to analysts’ expectations, which were $1.18 on average before Monday’s announcement, according to estimates compiled by Bloomberg. The forecast became a point of contention this year as Immelt suggested in May that $2 a share would be tough to reach, a month after Trian, which has been one of GE’s largest shareholders since 2015, said it believed GE could exceed the target. GE will shrink the size of its board to 12 from 18 directors amid criticism from some investors and analysts over the size. Of the remaining members, three will be new to the board, GE said.